President and publisher of FanReads. I publish books about sports, screen and music. I'm passionate about family, the Toronto Blue Jays, running, social media and technology. CEOs shouldn’t do customer service. Here’s why. Facebook fumble: How can the poster child for social media conversations be so bad at it? Back when I was working as a reporter, I was struck by the fact that the companies with the strongest brands are sometimes the worst at public relations. I won’t name names, but suffice to say that some of Canada’s most iconic brands are among them. The most recent (non-Canadian) example is Facebook, which had come out of nowhere in the past 12 months to establish itself as one of the English speaking world’s most loved brands. No exaggeration. It’s also no exaggeration to say that the Facebook folks are precariously close to losing all that good faith. For a social media company, these folks don’t understand the first thing about communication; they have alienated the press by being arrogant, aloof and dishonest. Their idea of press relations is sending a stupid message to a What’s New at Facebook Group that directs you to another website for a canned statement. … Facebook has turned all the people who rooted for it into a lynch mob. In the space of a month, it’s gone from media darling to devil. His harsh words relate to Facebook’s PR efforts around its Beacon advertising program, which allows Facebook advertisers to send users’ personal data — like what books or movies they order — to their friends. 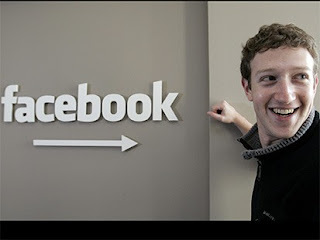 I don’t see ONE SINGLE INTERVIEW that Mark Zuckerberg, or top executives at Facebook, have given ANYONE. Hell, don’t like me or other bloggers? Then give a press conference with professional press. ANYTHING would be better than the way that Facebook is handling this. It appears that Zuckerberg may have got the message. For the first time in 15 months, Zuckerberg posted today to the Facebook blog. (Interestingly, his last post was also an apology). We’ve made a lot of mistakes building this feature, but we’ve made even more with how we’ve handled them. We simply did a bad job with this release, and I apologize for it. … It took us too long after people started contacting us to change the product so that users had to explicitly approve what they wanted to share. Instead of acting quickly, we took too long to decide on the right solution. I’m not proud of the way we’ve handled this situation and I know we can do better. He took responsibility, apologized and announced that Facebook has released a privacy control that allows users to turn off Beacon altogether. This may be a case of too much, too late. Zuckerberg failed to follow one of the primary rules in crisis management: Apologize because it’s the right thing to do, not because you have to. By waiting too long (until he had to), he may actually have had to make greater concessions than if had been able to get ahead of the crisis early on. Facebook is the poster child for social media, conversation marketing and online communities. But while it facilitates and enables those communities, it is surprisingly ignorant in how to converse in them. i wonder if facebook has pr people? they may know a lot about what they know about (ie. starting up a website community like facebook) but be unaware of basic pr principles that could have helped them out in this situation. they need to work with someone / an agency whatever, who can direct their pr efforts properly. maybe they don’t think they need it … they think they can handle it themselves … i think this latest example shows they cannot. or at least that they have a lot to learn. my best advice to them is not to try to do everything themselves and to get some solid pr advice / staff / partners. Thanks Richelle. I’m sure Facebook has PR people, but that doesn’t mean Zuckerberg listens to them. In my experience, accomplished CEOs often think they know more than their advisers, and that can get them into trouble.